Valery Vermeulen is electronic musician, mathematician and educator. In his work he explores the interaction between man, machine and mathematics. As part of the Vibrant Matter radio item he will explain how he uses data from deep space as composition tool. As part of the Art & Commerce panel he confronts the audience with the often misleading systems and mechanisms that caused the global financial crisis. 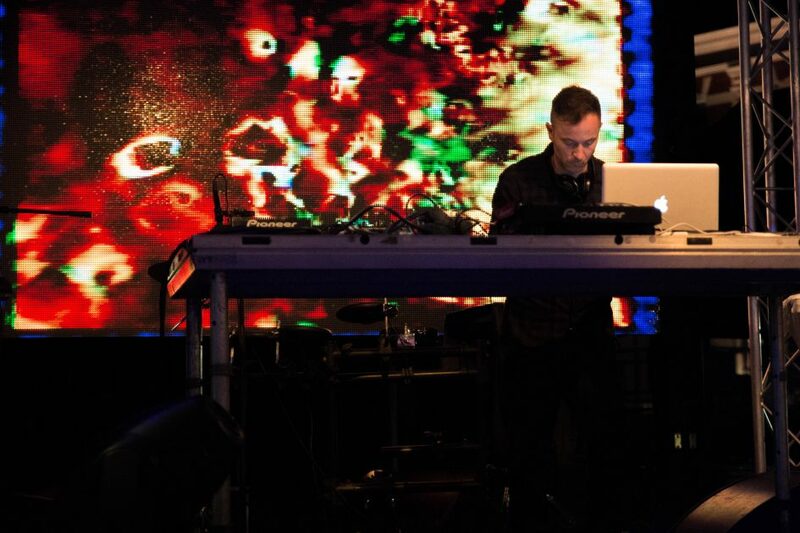 Recent works of Vermeulen include EMO-Synth project, Mikromedas and Krystal Ball. With the EMO-Synth project Vermeulen’s work is situated in the area of interactive multimedia systems where automatically generated sound and music systems are directed by the emotional responses of the user. With Mikromedas focus is set on the innovative uses of data from space and deep space as new tools form music composition and performance. In the Krystal Ball project, an interactive multimedia system where the mechanisms that caused the financial credit crisis, stochastic and algorithmic music generation and the work of pioneer I. Xenakis play a central role. Dr. Valery Vermeulen is an electronic musician, mathematician, music producer, new media artist, author and visiting professor at the Art & Technology dep at Erasmus University College in Brussels (BE). He holds a Phd in pure mathematics from Ghent University (BE) as well as a masters degree in Music Composition at the Royal Conservatory of Ghent (BE). Since 2003 Vermeulen has been working on various multimedia projects where the interaction between man, machine and mathematics plays a central role. Topics in his work cover a broad range of disciplines including creative evolutionary systems design, generative art, algorithmic sound and image generation, affective computing, artificial intelligence, biofeedback, psychofysiology, astrophysics, econometrics and data sonification.